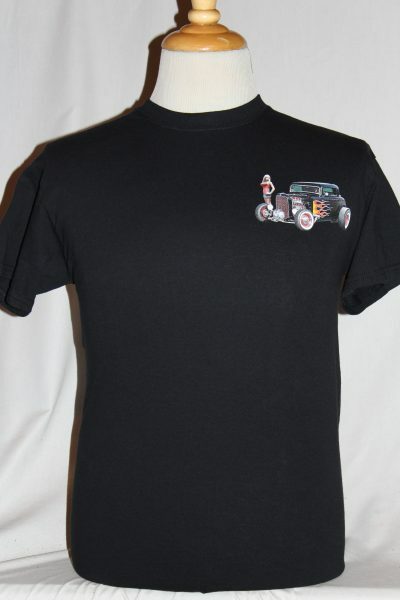 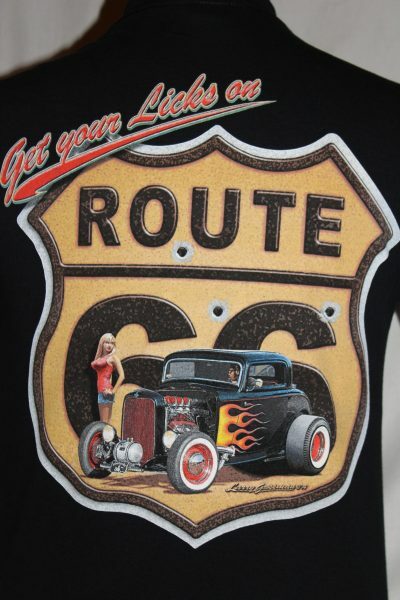 The Route 66 Hot Rod T-shirt is a two sided print in black. 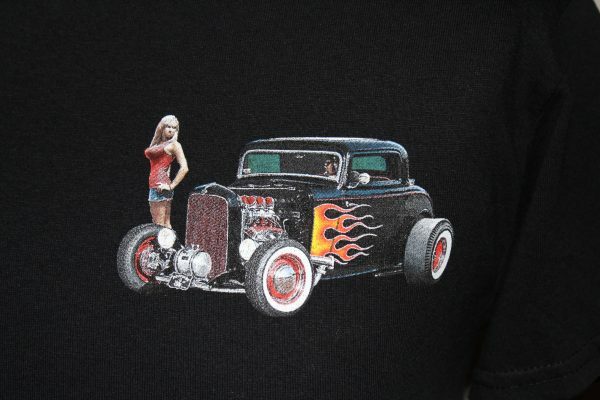 Front Design: Left chest image of hot rod. 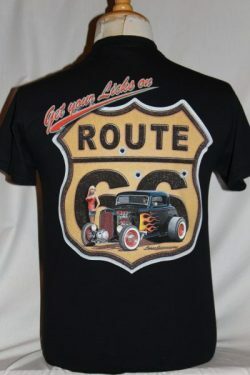 Back Design: Route 66 emblem in multiple colors and text.